(VEN) - After nearly five years with 14 rounds of negotiations and four months following the conclusion of negotiations, Vietnam and the EU officially signed an agreement marking the end of talks on the EU-Vietnam Free Trade Agreement (EVFTA), marking a significant milestone in the bilateral relationship over the last 25 years. Vietnam and the EU officially established diplomatic relations on November 28, 1990. 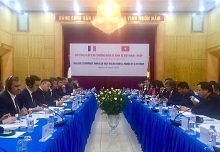 In 1995, the two sides signed a framework cooperation agreement. In 1996, the European Commission (EC) established its diplomatic representation in Hanoi. 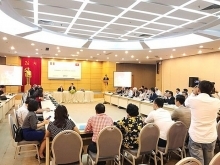 In 2005, a year after the first Vietnam-EU Summit took place in Hanoi, Vietnam adopted a Master Plan and Action Plan in developing Vietnam-EU relations towards 2010 and orientation towards 2015. In 2007, Vietnam and the EU announced the official commencement of negotiations on a comprehensive partnership and cooperation agreement (PCA). On October 4, 2010, on the sidelines of the eighth Asia-Europe Meeting (ASEM-8) in Brussels, Vietnamese Prime Minister (PM) Nguyen Tan Dung and EC President Manuel Barroso initialed the PCA. 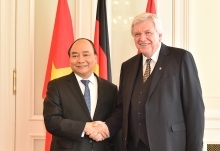 In June 2012, also in Brussels, Vietnamese Minister of Foreign Affairs Pham Binh Minh and the EU High Representative for Foreign Affairs and Security Policy officially signed the PCA, marking a milestone in bilateral relations, and creating a firm legal basis for Vietnam and the EU to enter a new period of broader and deeper cooperation. In October 2010, PM Dung and EC President Barroso announced the initiation of negotiations on a free trade agreement between Vietnam and the EU (EVFTA). 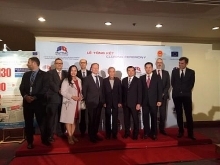 On June 26, 2012, Vietnam and the EU announced the official beginning of EVFTA negotiations. After 14 negotiation rounds, in August 2015, the two sides announced the conclusion of EVFTA negotiations. Four months later, on December 2, Vietnam and the EU signed an agreement on the official conclusion of EVFTA negotiations. The EVFTA is a highly comprehensive agreement. As soon as it takes effect, the EU will eliminate import taxes for about 85.6 percent of tariff lines to liberalize 70.3 percent of Vietnamese exports to the EU. For the next seven years, the EU will remove import taxes for 99.2 percent of tariff lines, equal to 99.7 percent of Vietnamese exports to the EU. For the remaining 0.3 percent, the EU is committed to offering Vietnam import taxes within a tariff rate quota of zero percent. The EVFTA is also expected to have a great impact on European investment flows to Vietnam, because Vietnam will eliminate or reduce limitations in the field of food and beverage production, as well as in non-food areas. Vietnam is committed to creating favorable conditions for EU investors to invest in financial, telecommunications, transportation, and distribution services. The EU currently is the second largest trading partner and one of the two largest export markets for Vietnam. 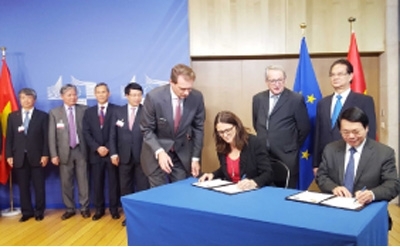 Trade between Vietnam and the EU increased from US$17.75 billion in 2010 to US$36.8 billion in 2014. In the first 11 months of this year, bilateral trade reached over US$38.06 billion, with Vietnam recording a trade surplus of US$18.11 billion. Vietnam and the EU agreed to strive to complete the ratification process as soon as possible so that the EVFTA can take effect in early 2018.